Vanuatu's capital, Port Vila, is an exciting, bustling town that curves around Vila Bay and creeps up its steep hillsides. You will find interesting shops, bars, and restaurants featuring the islands' specialty, flying fox, or coconut crab. 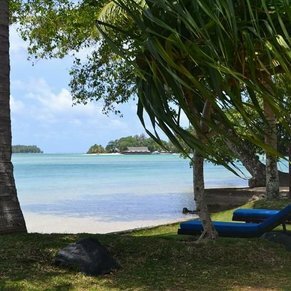 The rugged island offers horseback riding, hiking to waterfalls, river canoeing and kayaking, plus snorkeling and scuba diving trips in Port Vila. Took a day tour with many others on this cruise with Santo Adventures, and had the best day. Bus picked us up at the port and drove us a duty free store for our liqueur purchases. They then took us to awaiting open boats which whizzed us across to an Island where we had a scrumptious BBQ lunch cooked for us, while we swam in calm tropical waters. 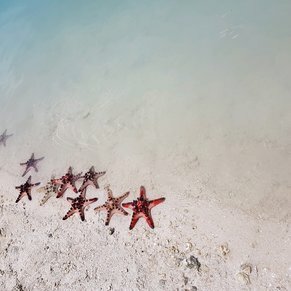 We then were taken around the island by boats to an area of about 10m depth where we could feed the local fish and snorkel with them around a coral reef. Took us to a local island village before returning back to the ship around 4pm, big day and very tiring, but loved every minute of it. Great value @ only $100 pp for the whole day including lunch. If I could give 6 stars I certainly would. This port was amazing. We hired a friendly local tour guide instead of a cruise excursion. He took us to the blue lagoon in a mini bus with just us in it. The blue lagoon was amazing and the rope swing was spectacular. The tour then gave us fresh fruit which was exquisite. We then went to the turtle sanctuary where we got to swim with many turtles including a turtle 260 years old called big mama. We then went to our final stop. We went to a big waterfall in replacement for the cascade waterfalls. This waterfall you were aloud to jump off and there was also an additional rope swing and 10 meter jump run purely by the locals. We then got back on the ship with 1 hour to spare. Get a bus from the port into town. They are basically 8 seater vans with a red B on the number plate, costs $5 each. We walked up and down the streets in the main part of town. Also went to the Cultural Centre on the way to the town. Best place to buy duty free is Fung Kuei. 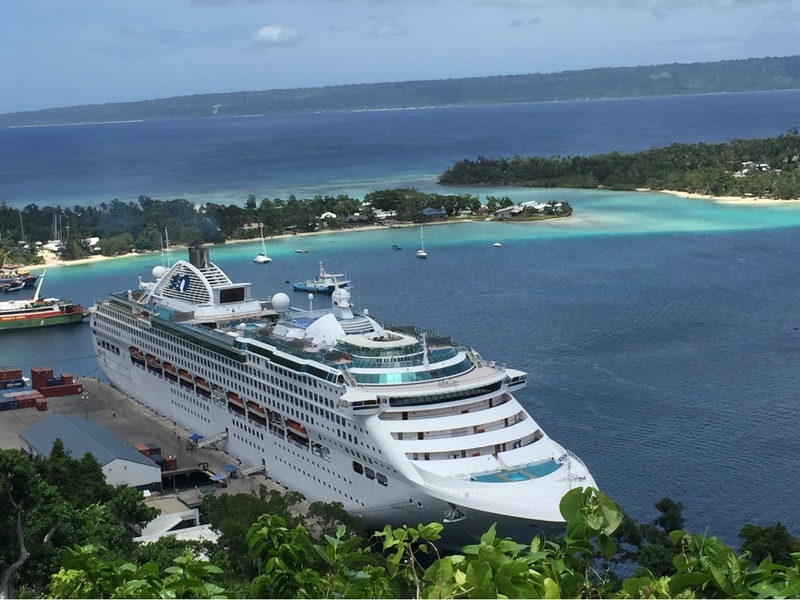 3 of 9 shore excursions in Port Vila, Efate, Vanuatu. 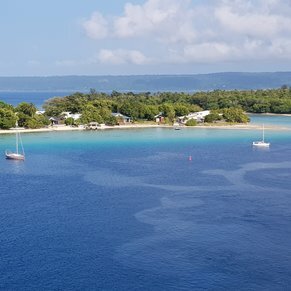 There are currently 0 discussions about Port Vila, Efate, Vanuatu.